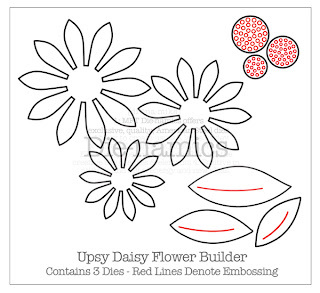 I thought this Basic Grey Urban Prairie paper, with its flowers and bees, would be perfect with this sweet image. 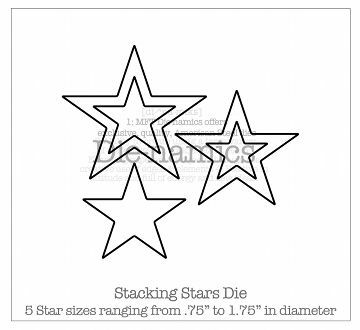 I colored it with Copics and cut it out, then I placed it on a Die-namics 3/8" Rosette. Here's all the info for tomorrow night's release! The MFT release is tomorrow, March 1st! Join us at the Release Party from 8-10 PM EST HERE in the forum for fun, games, and prizes! All the new sets and dies will be available tomorrow night at 10:00 PM! There is still time to enter the Guest Designer Contest! 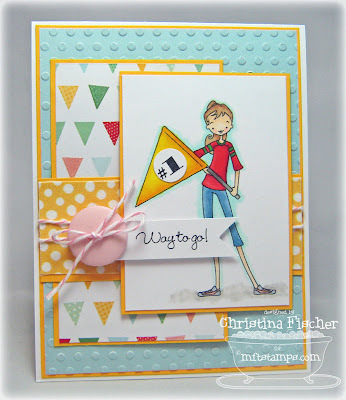 Check out the forum HERE for details on how YOU can win over $100 in stamp sets and play along with the DT next month! One more day of Teasers tomorrow -- I hope to see you then! Thanks for stopping by today! 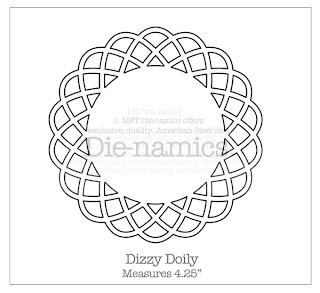 I used the NEW Die-namics Dizzy Doily die behind the image. I pulled the ribbon up through one of the openings in the doily and tied the bow on top. The My Favorite Things release is on Tuesday, March 1, at 10:00 PM EST. You can attend the release party from 8-10 PM EST here in the forum for fun, games, and prizes! 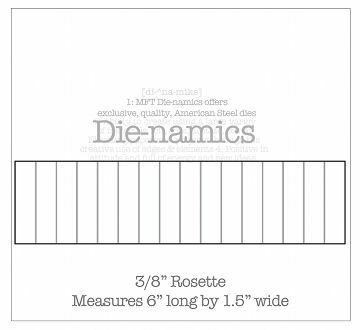 All the new sets and dies will be available on March 1st at 10:00 PM EST -- that's also when we'll have our Release Blog Hop! There is still time to enter the Guest Designer Contest! 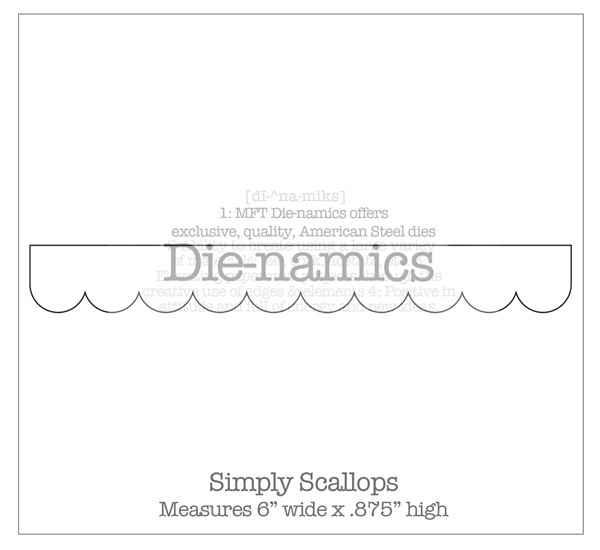 Check out the forum for details on how YOU can win over $100 in stamp sets and play along with the DT for a month. 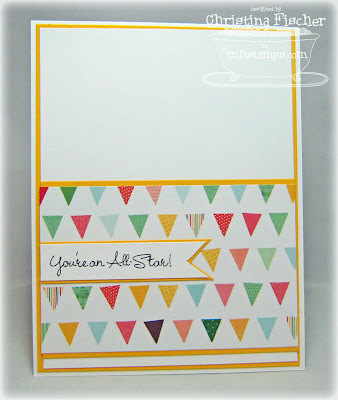 If you'd like to see all the teasers for today, please click on over to Kim's blog NOW! 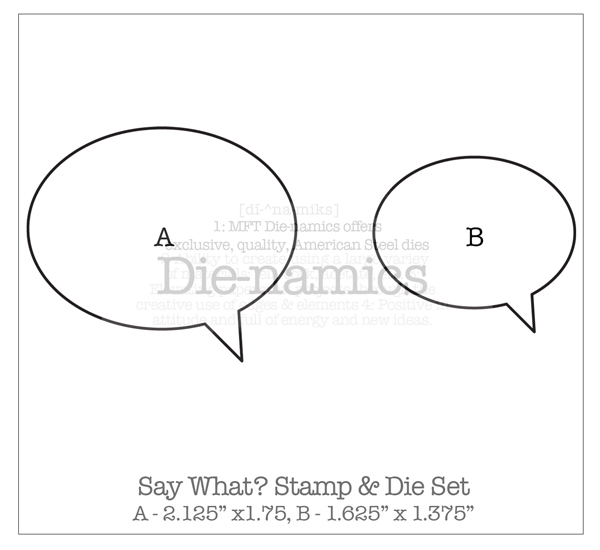 Be sure to leave comments as you go for a chance to win one of two stamp sets being given away daily, just for leaving a comment! Check Kim's blog every day for the winners. The Teasers continue tomorrow -- I hope you'll stop back to see! Thanks so much for visiting today! Happy Saturday! 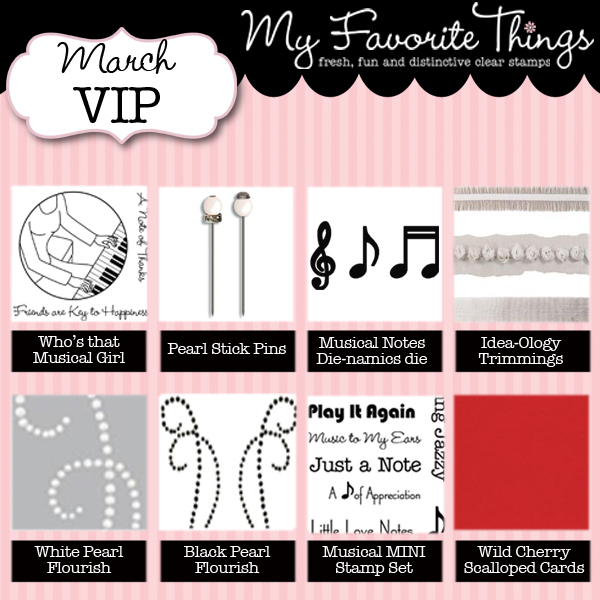 It's Day Two of Teasers for the My Favorite Things March release! Today the Creative Team is previewing Say What? and Clearly Sentimental about Parenting (last month's Triple Scoop set). Say What? 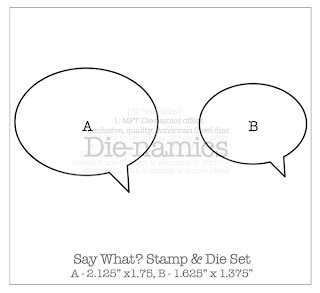 is a fun stamp and die set, with speech bubbles plus fun phrases and punctuation. I used it to make this very clean and simple card. I really ♥ this card. It's not my usual style, I know, but it just makes me happy. 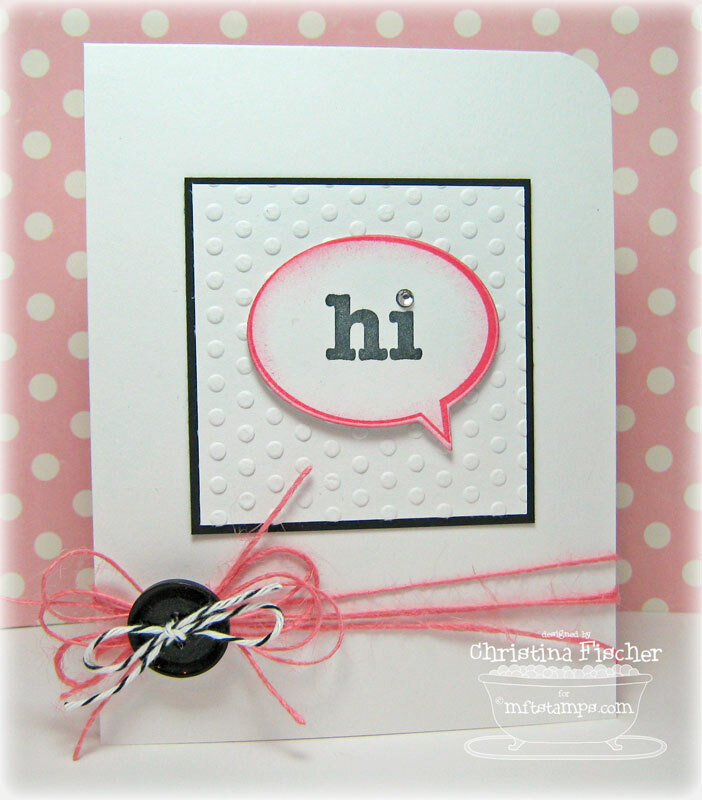 I embossed with the Cuttlebug Polka Dots folder, added an adhesive rhinestone over the "i", and tied on a button and some twine. Easy Peasy. I finished the inside with more embossing to coordinate with the front, and I added another rhinestone. Here's all you need to know about Tuesday's Release! The MFT release is on March 1st at 10 PM EST. You can attend the release party from 8-10 PM EST here in the forum for fun, games, and prizes! All the new sets and dies will be available on March 1st at 10 PM EST. 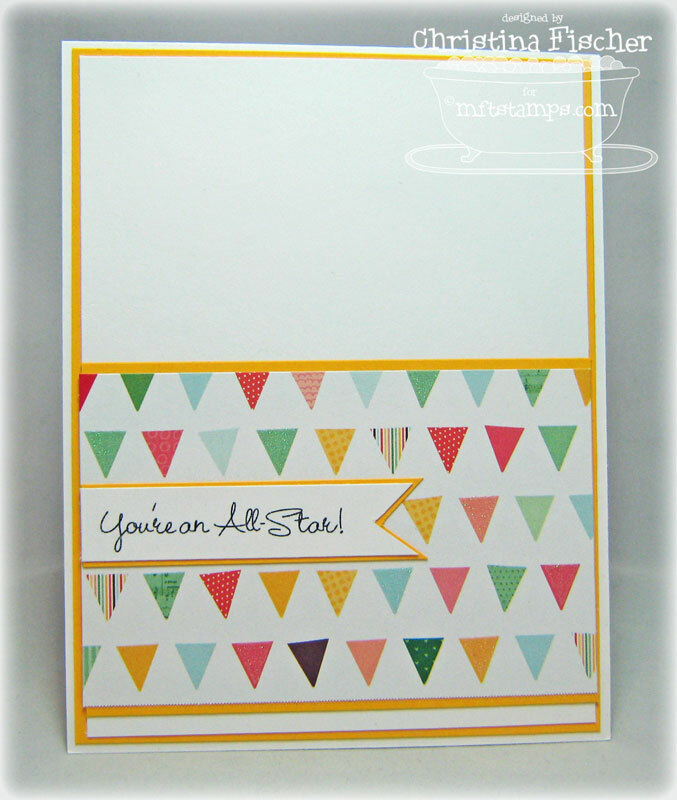 If you'd like to see all the teasers for today, please click on over to Kim's blog NOW! 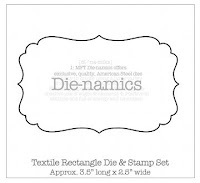 Be sure to leave comments as you go for a chance to win one of 2 stamp sets being given away daily, just for leaving a comment. :) Check Kim's blog every day for the winners. I hope you're having a good weekend so far! Thanks so much for stopping by! Hi there! TGIF! 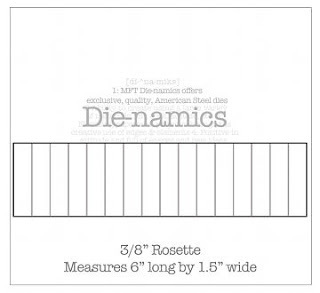 Can you believe it -- it's already time for Teasers of the March sets and Die-namics from My Favorite Things! Get ready for some serious cuteness! 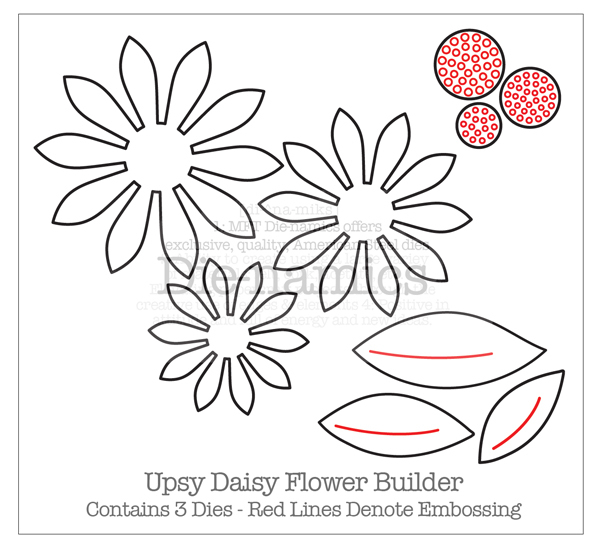 Today the Creative Team is previewing these three sets: Fred Bear - Oopsie Daisy, Flapper Doodles - My Favorite Hello, and Sassy & Sweet. 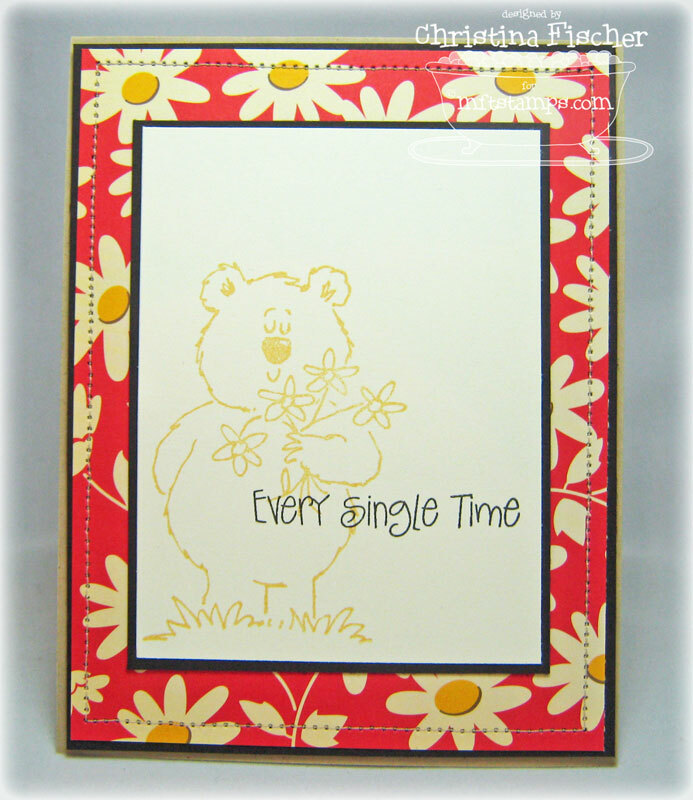 My card features Fred Bear - Oopsie Daisy. That's all for today -- I'll have another Teaser tomorrow! Thanks so much for stopping by! 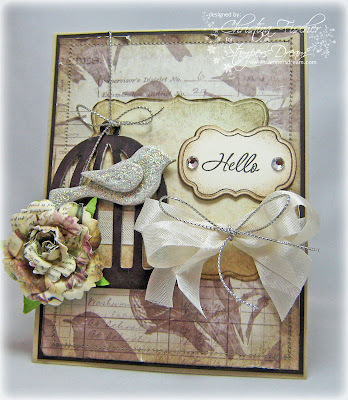 My card features the Fancy Frames cling set by JustRite Stampers, Maya Road Birds w/ Cages chipboard, and Spellbinders' Labels Fourteen and Labels Fifteen Nestabilities. The paper is Paper Reverie Brun Antique by Making Memories. I distressed the edges and inked them with Walnut Stain Distress Ink. I covered the birdcage with craft ink and applied Diamond Stickles to the bird. I stamped the frame and sentiment and cut it out with one of the Labels Fourteen Nestabilities. 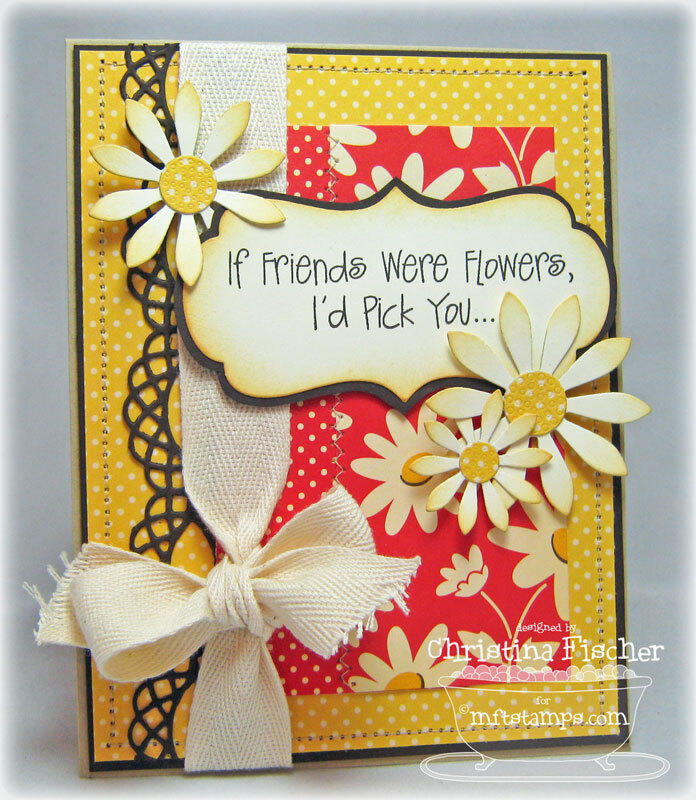 I embellished with Silver Metallic String and a Prima Sahara Orchard flower. Thanks so much for visiting today -- have a great day! Why is it that I make cards for a living, but I never have a birthday card when I need one? 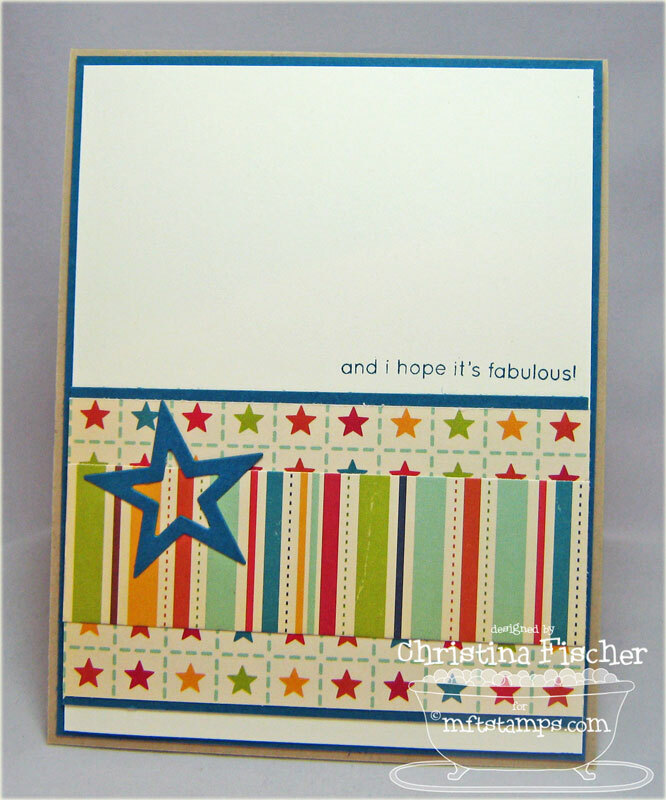 I decided that I needed to add some birthday cards to my stash, so I made this simple and monochromatic card. 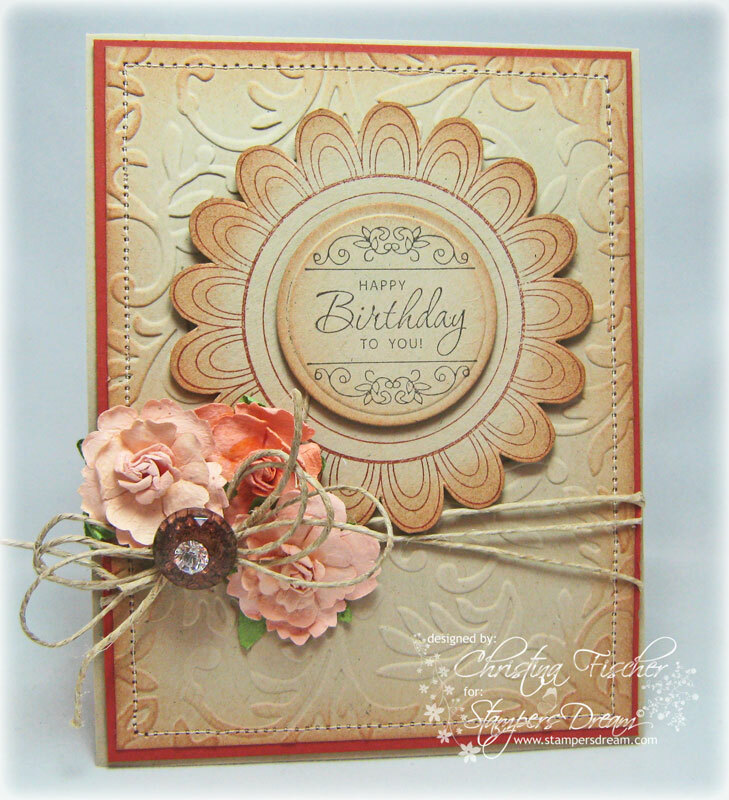 I wanted to create a card using only kraft cardstock, and I gave it some interest with embossing (Cuttlebug Victoria folder) and sponging. 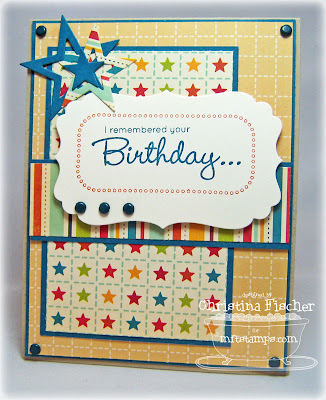 I used the Birthday Celebrations set by JustRite Stampers. 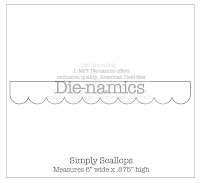 I stamped the large scallop in SU! Cajun Craze ink, then I hand trimmed it. The center sentiment was stamped in SU! Early Espresso ink. I sponged all the edges with Tea Dye Distress Ink. I embellished with a trio of Prima Sugar Plum Roses and a Webster's Pages Sparkler. Thanks for visiting today -- have a great day! Anyway, I didn't get as much stamping time as I'd hoped, but I did get this card made after the girls went to bed last night. 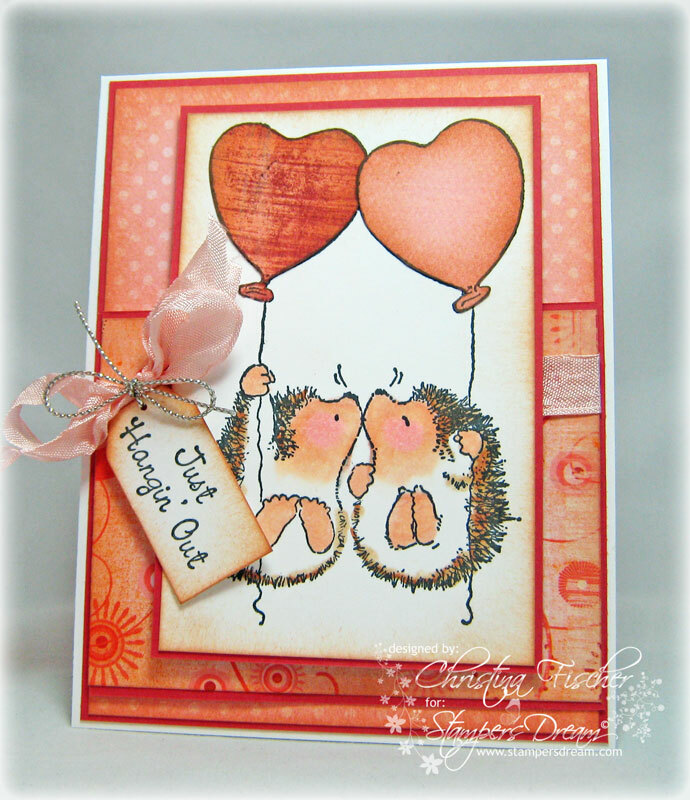 While making my Valentine projects I had planned to use this Hedgehog Kisses stamp by Penny Black. It didn't happen. So I made this "just because" card instead. I paired the image with this sentiment from the Hangin' Around cling set by JustRite Stampers. I kept the design simple and monochromatic. The paper is Porcelain Dot and Organic Honeysuckle by Bo Bunny. I paper pieced the balloons and colored with Copics, and I inked all the edges with Tea Dye Distress Ink. I tied the tag to the bow with Silver Metallic String. Happy Thursday, everyone! 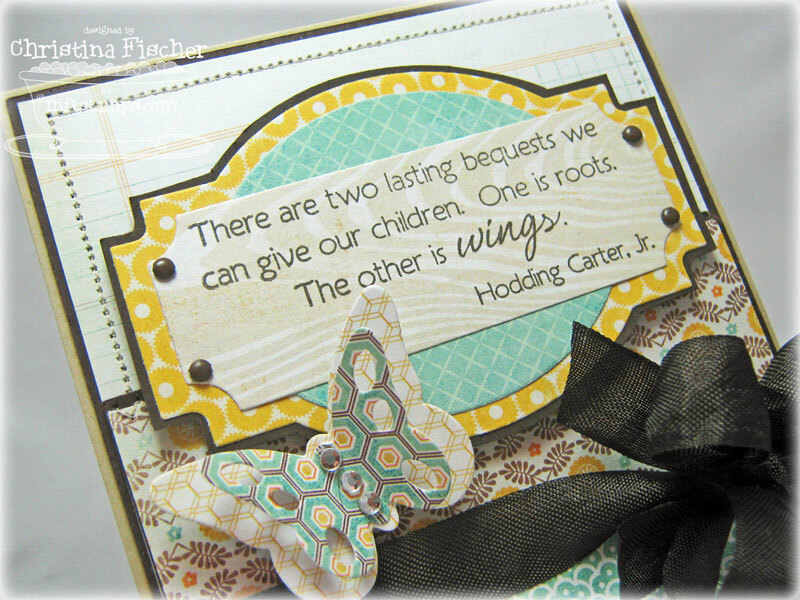 I have a Stamper's Dream card for you today. I'm starting to get in touch with my shabby chic side. I've been afraid of it for a while, and I didn't think I could pull it off, but I'm really starting to like it. 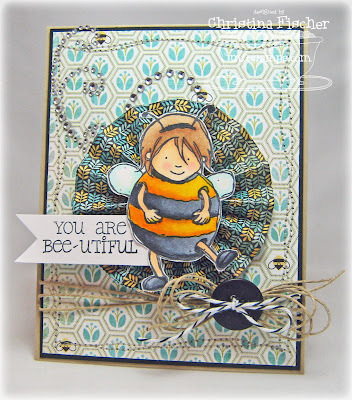 :) The sentiment and frame are from In the Moonlight, one of the new JustRite Stampers cling rubber sets. 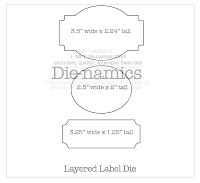 They coordinate with the Labels Fourteen Nestabilities, so that's what I used to cut and emboss. The paper is My Mind's Eye Lost & Found. I stamped the Impression Obsession Lg Open Dot Tag cling stamp onto the paper with Memento Rich Cocoa ink, then I cut it out and matted it. I distressed all the edges and inked them with Tea Dye Distress Ink. I embellished with some crochet trim, Ivory Burlap String, and a Prima Sahara Orchard flower. Hello, everyone! It's time for the MFT March VIP Hop! The VIP package is your chance to get the newest Who's That Girl? set weeks in advance, along with all the other goodies exclusive to the package! 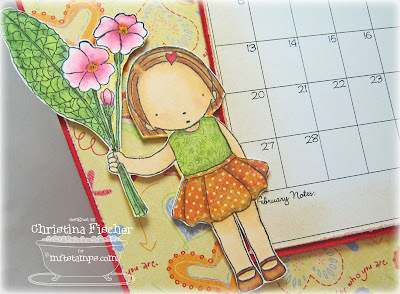 If you haven't seen all the Blog Hop projects so far, be sure to start with Kim's Blog! In addition, the two new à la modes sets are also available right NOW! Here's my card. The paper is Lost & Found by My Mind's Eye. I paper pieced her shirt and colored with Copics. 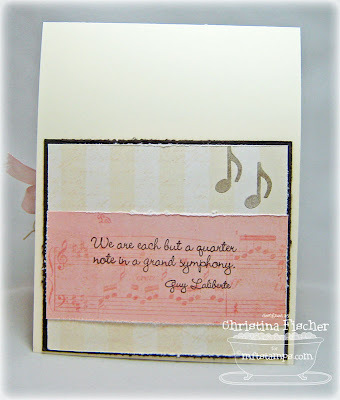 The edges of the paper and cardstock were distressed with the SU! Cutter Kit. The sentiments on the front and inside are from the Musical Girl mini set, which is exclusive to the VIP package and won't be available again! I ♥ it when I have just the perfect paper for a project. 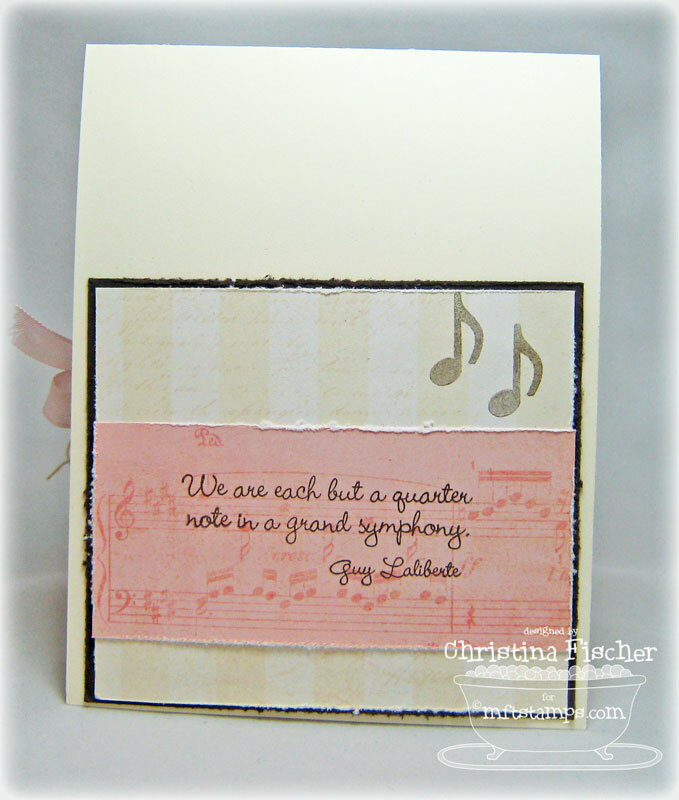 This American Crafts paper has been in my stash since Summer CHA -- I knew I'd be able to use it eventually! 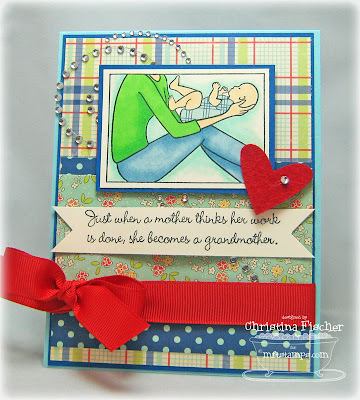 The blue background is the reverse side of the banner pattern, and I embossed it with the Cuttlebug Polka Dots folder. I colored the image with Copic markers. The #1 is actually part of the "You're #1" sentiment -- I just punched out the number with a 1/2" circle punch and adhered it to the yellow banner. I finished the inside simply,with more paper and another sentiment from the set. P.S. 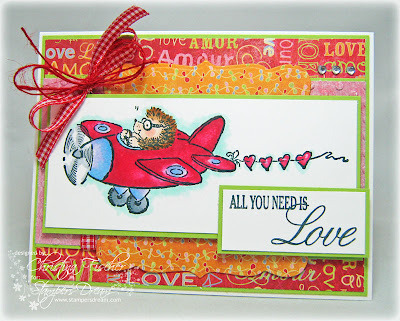 Today's the 15th -- so there's a new Dirty Dozen Gallery at Splitcoaststampers! Fan Club Members can find it HERE! Good Monday morning, everyone! Happy Valentine's Day! :) It's mid-month already (can you believe it? ), so that means it's time for new à la modes from My Favorite Things! 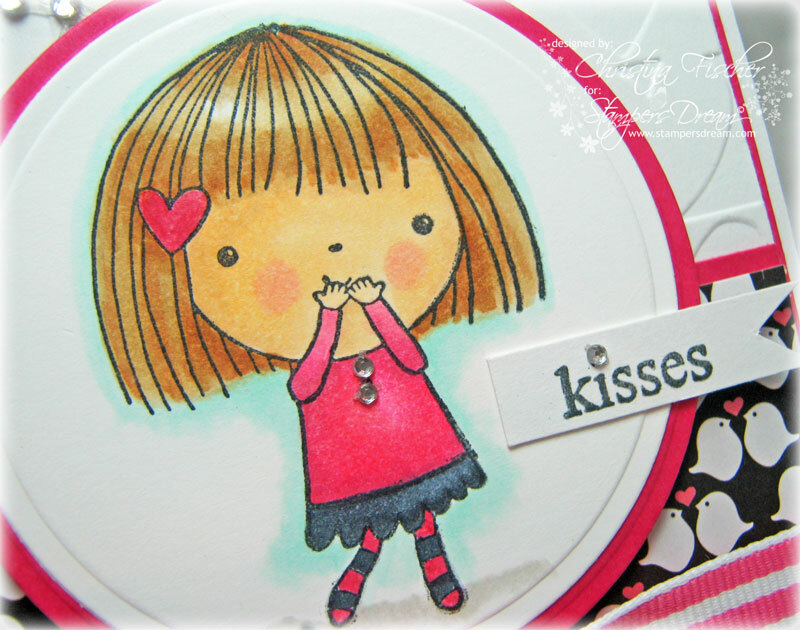 This sweet line of stamps has captured my heart, and it appears it has captured yours, too! 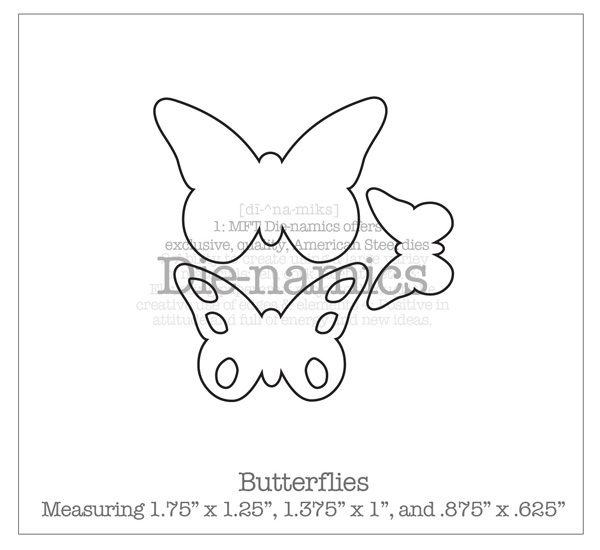 MFT's only line of cling rubber stamps, the à la modes are easy to work with and stamp like a dream! We'll have à la modes previews today and tomorrow, followed by the VIP Hop Tomorrow (Tuesday) night at 10:00 pm EST. So, are you ready for today's à la modes card? It features à la modes - Wishing You Luck. It's perfect for St. Patrick's Day or anytime you want to wish good luck to a friend. 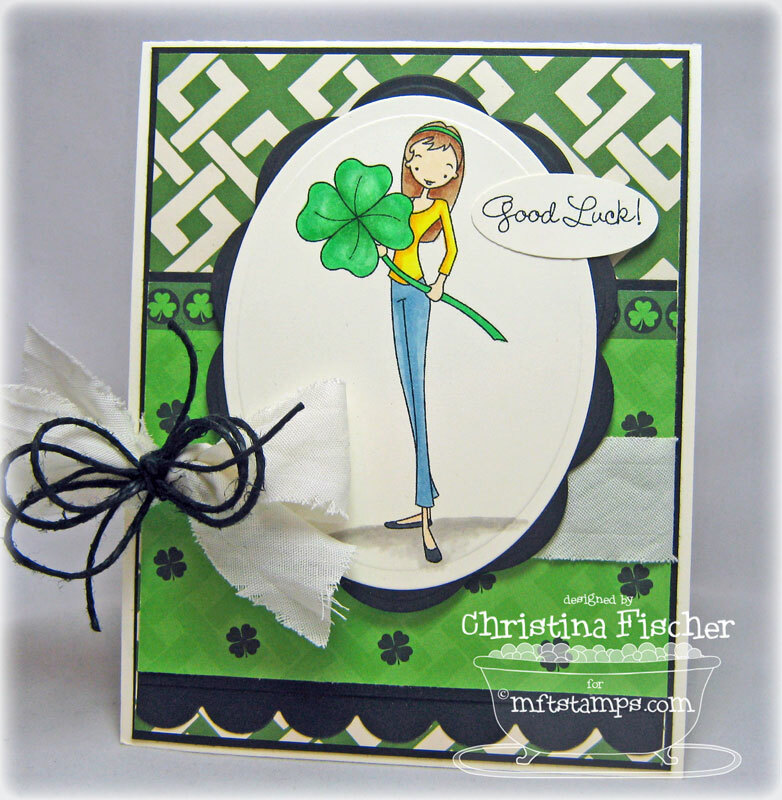 I had picked up this Reminisce Celtic Knot paper during a shopping trip with Lisa -- I knew it would come in handy! I colored the image with Copics. 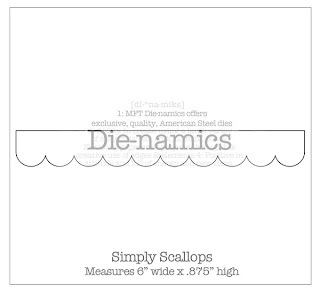 I used the Die-namics Simply Scallops die to cut the scallops from the Black Licorice card stock. The ribbon is some bias tape I purchased at Jo-Ann's -- I wrinkled it and roughed up the edges, then I topped it with some black hemp twine. I had some fun layering the inside of the card. Even with the sentiment inside, there's plenty of room to write a personal message. Click over to Kim's Blog to see the lineup of MFT designers who have à la modes previews for you today. Then be sure to stop back tomorrow to see the other à la modes set! Thanks for stopping by today -- have a great day! I stamped the image in Memento Tuxedo Black ink and colored with Copics. The paper is from the Crush 6x6 pad by Bo Bunny. To add some more black to the design, I topped the yummy pink and white striped ribbon with some black checkered ribbon. I placed some tiny adhesive rhinestones on her buttons and over the "i" in the sentiment. I may have one more Valentine card left in me... we'll see! 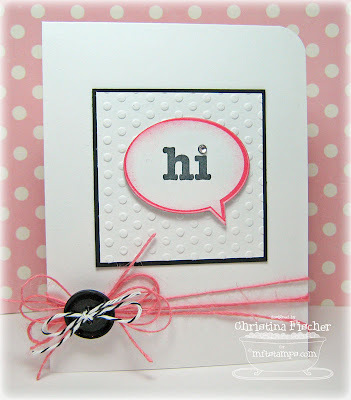 I will be stamping like crazy this weekend, so I'm sure I'll have something to share! Thanks so much for your visits and comments -- they mean a lot! The paper is from the Campfire line by October Afternoon. 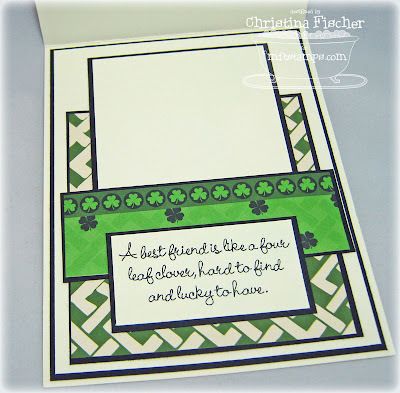 The sentiment was stamped and cut with the Die-namicsTextile Rectangle die and stamp set. 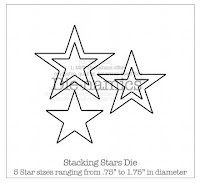 I used the Die-namics Stacking Stars for the corner element. 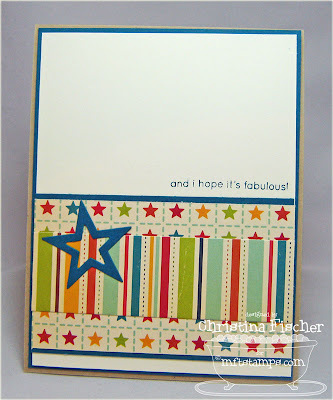 I finished the inside with more paper, a star, and another sentiment from the Textile Rectangle set. Please play along with us! Upload to SCS with keyword MFTWSC6 so we can see your creations! That's all for today -- thanks so much for stopping by! Happy Wednesday! I have a quick post today -- my little one is home sick (second sick child this week!). 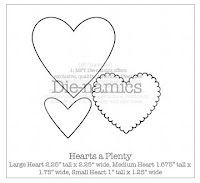 I told you I was trying to ink up my growing collection of The Cat's Pajamas stamps -- so here's a card for this week's TCP Tuesday challenge. Jen is the hostess, and she has an inspiration challenge for us. I couldn't resist the yummy color combination! 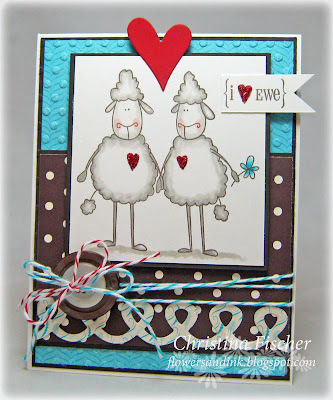 I had stamped this image from the set Ewe Complete Me, so I worked it into my challenge card. I used some retired SU! 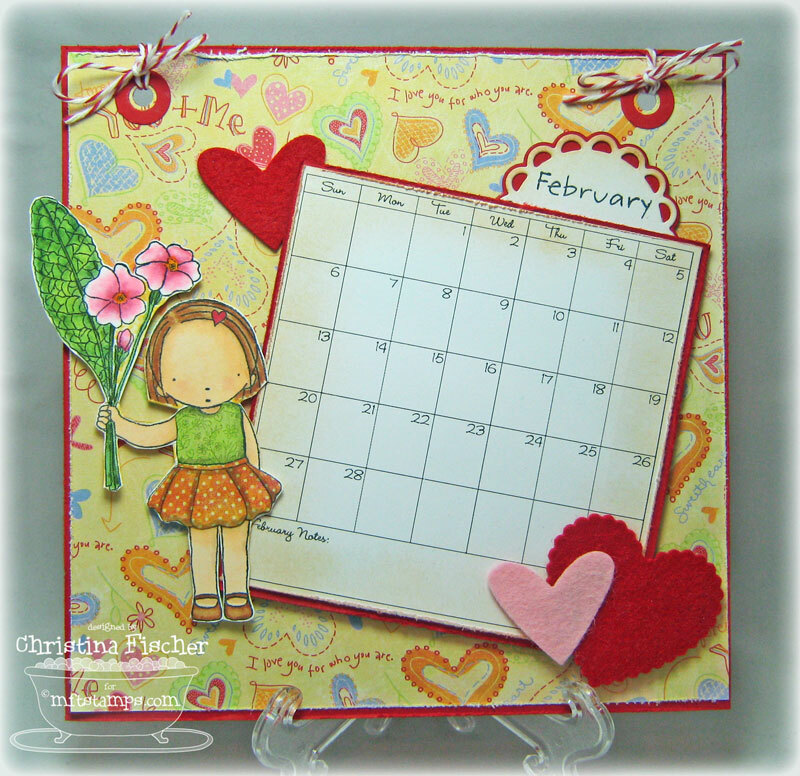 paper, Cuttlebug Polka Dots folder, Copics, and two TCP CutUps: Heart Trio and Icing. I embellished with buttons, Aqua and Cherry Divine Twine, and Sweet Thing Glitzy Glitter. That's it for now! Gotta go check on my little girl! Thanks for stopping by! 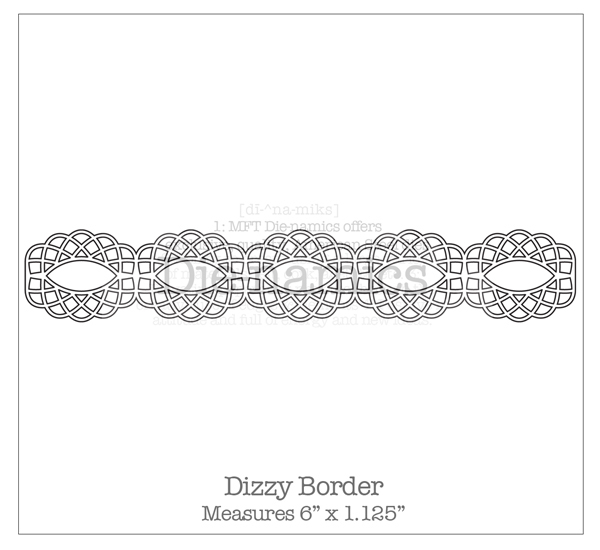 MFT DT Creative Challenge: Get Digital! Hello, everyone! This month's MFT DT Creative Challenge is to Get Digital! 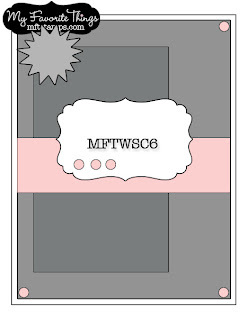 The MFT Boutique has many digital options to choose from -- Templates, Digi Papers, and Digi Stamps -- so it's easy to create something fun! I used this challenge as an opportunity to make my February calendar page (you might remember my January page HERE). I love this Honey Bear. LOVE. I colored the image with Copics, then I cut it out and popped it up on dimensional boosters. I also stamped, colored and cut out the honey pot. I cut some felt with the Icing CutUps die, and I tied some Cherry Divine Twine through the button. The Valentine lollipop paper is from Imaginisce. I hope you are having a good weekend so far! Chris and the girls are going to the Father-Daughter dance tonight, Kyle is going to the Valentine's dance, and Megan is working! That means a free night for me (and hopefully some stamping time)! YAY! Happy Thursday, everyone! I'm still working on Valentines -- I still have some time, right? 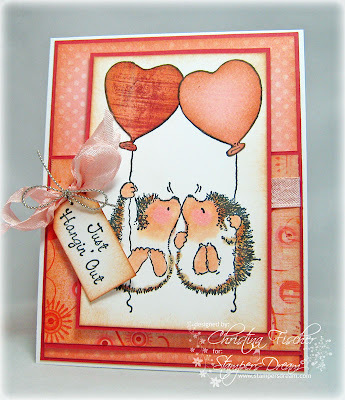 Love is definitely in the air with this Hedgehopper stamp from Penny Black. 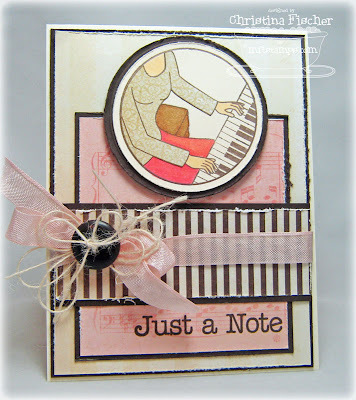 I stamped it in Memento Tuxedo Black ink and colored with Copics. The paper is from the Sugar Rush 6x6 pad by Basic Grey. 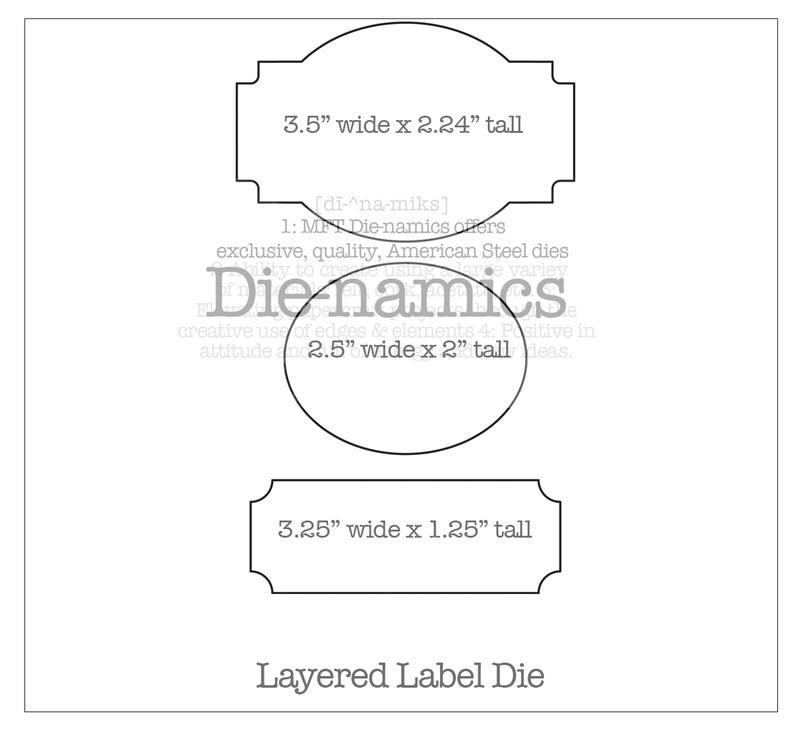 The orange panel was cut and embossed with one of the Labels Fifteen Nestabilities. 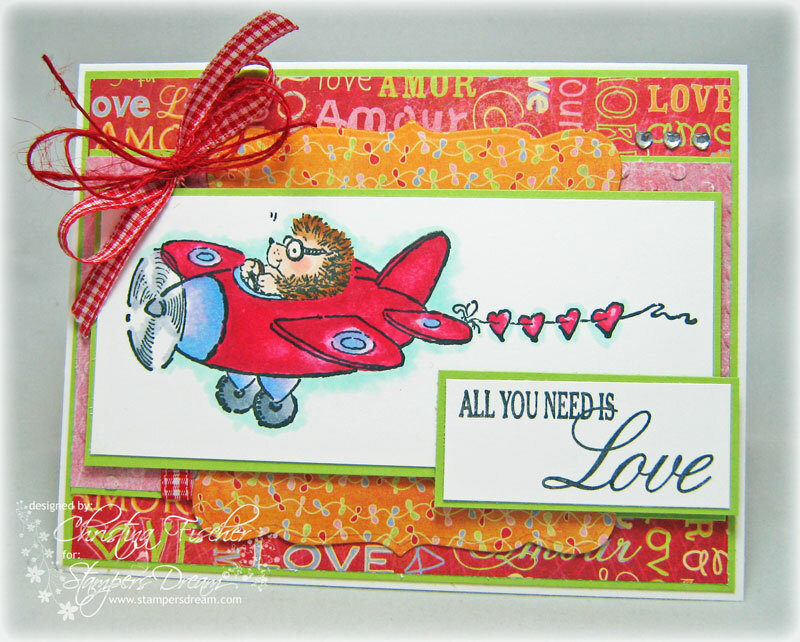 I used a sentiment from A Loving Heart Clear Stamp Set by Impression Obsession. I embellished with red checker ribbon, red burlap string, and some heart-shaped adhesive rhinestones. That's all for now! I hope you're having a great day -- thanks so much for stopping by! Hi there! Are you ready to Hop and Shop with My Favorite Things? 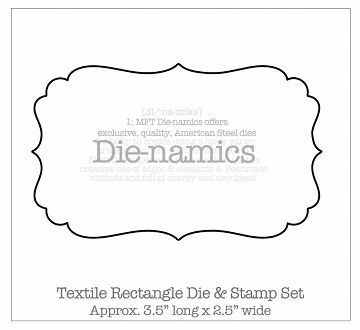 Tonight's release is huge -- and it's filled with fabulous stamps and Die-namics! Hopefully you came here via Cindy's blog -- if not, be sure to start at the beginning with Kim! My card features the set Clearly Sentimental about Parenting. It's this month's Triple Scoop set. Our Triple Scoop program rewards you every day! 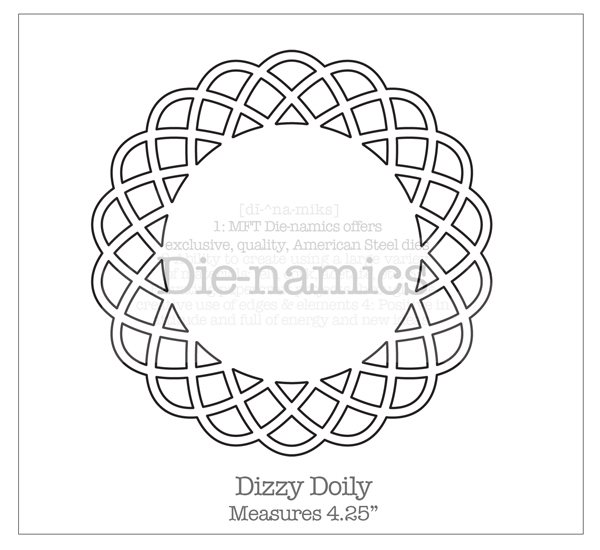 Simply purchase 3 full sized sets ($15.95 or higher) and receive a FREE set from MFT. After you've added your 3 set choices to your cart, purchase the free Triple Scoop product to receive your free set. Remember, it will not automatically be added to your cart, so you’ll need to be sure to add it to your qualifying order! The paper is from the Fine & Dandy: True Blue 6x6 pad by My Mind's Eye. 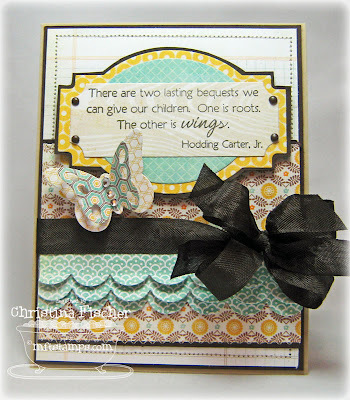 I used three Die-namics: Layered Label, Butterflies, and Simply Scallops. 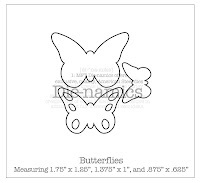 I layered two of the butterflies and folded up their wings, then I added some rhinestones to the center. I placed some Neutral Baby Braddies in the corners of the sentiment. The sentiment and butterfly are popped up with some of Jody's dimensional boosters. You can find all the Brand Spankin' New products right HERE, right now! 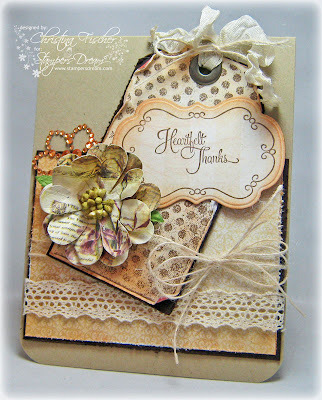 Now I'll send you over to visit the madly talented Arlene -- I can't wait to see what gorgeoousness she has created! Happy shopping! Thanks for hopping by! Hi there! It's the final day of Teasers for tonight's release! Today the Creative Team is previewing My How You've Grown and Clearly Sentimental about Parenting. Both are going to be go-to sets for me, I can tell! The paper is from the Seaside 8x8 pad by October Afternoon. I colored with Copics and paper pieced the baby's onesie. I embellished with ribbon, a felt heart, and some adhesive rhinestones. Head over to Kim's Blog NOW to see which designers have Teasers for you today. Then be sure to join us TONIGHT for the Release party from 8-10 pm HERE at the MFT Forum. After the sets go live at 10:00, get ready to Hop and Shop! I'll see you back here later on tonight! Thanks so much for stopping by!